I'm on vacation this weekend in Reno, but nevertheless I looked around for some yellow and spotted it on this bird feeder outside my window. Often, there were multiple patches of yellow, but the boys were skittish. 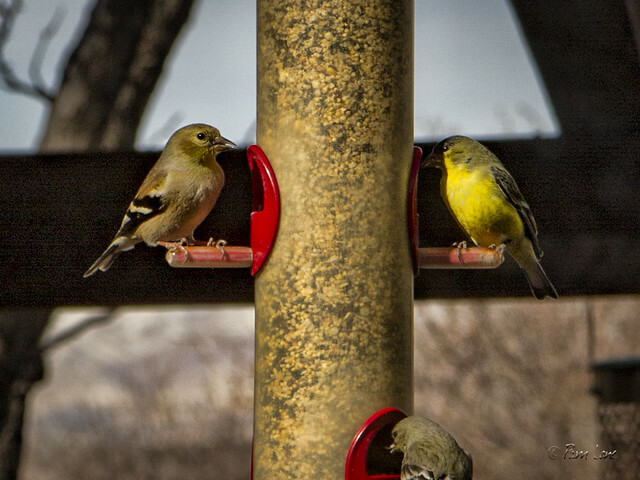 These are goldfinches, tiny songbirds that thrive on the bird seed provided here. The males have the bright yellow underbelly, while the females are a duller yellow.